No matter how many wineries I visit, no matter how many wines I taste, I still get surprised by the beauty and the wines of Napa Valley. 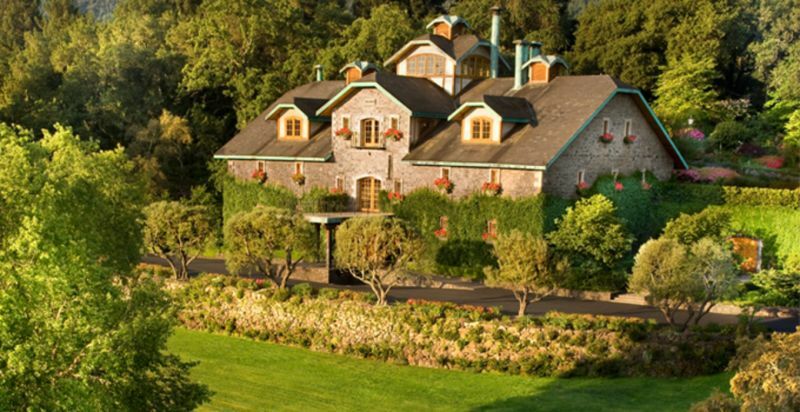 I am not terribly poetic, I leave the prose up to The Brit, but visiting the property of Far Niente and tasting their wine stirred my soul. It is that kind of special place and that kind of special wine. 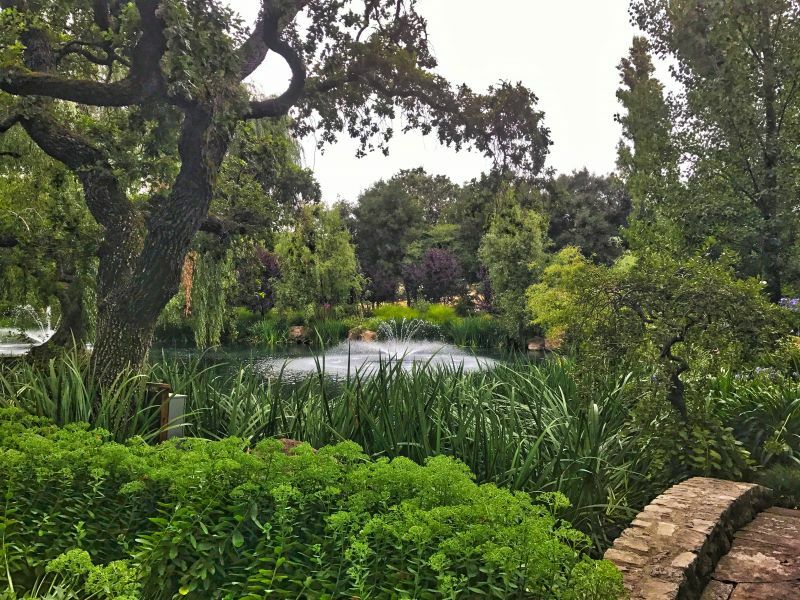 SanityFound Comments: Being a first timer in Napa and totally green on the whole experience that is “Napa” I have to admit that Far Niente blew me away and set a very high standard of what I came to expect to see and experience in Napa. 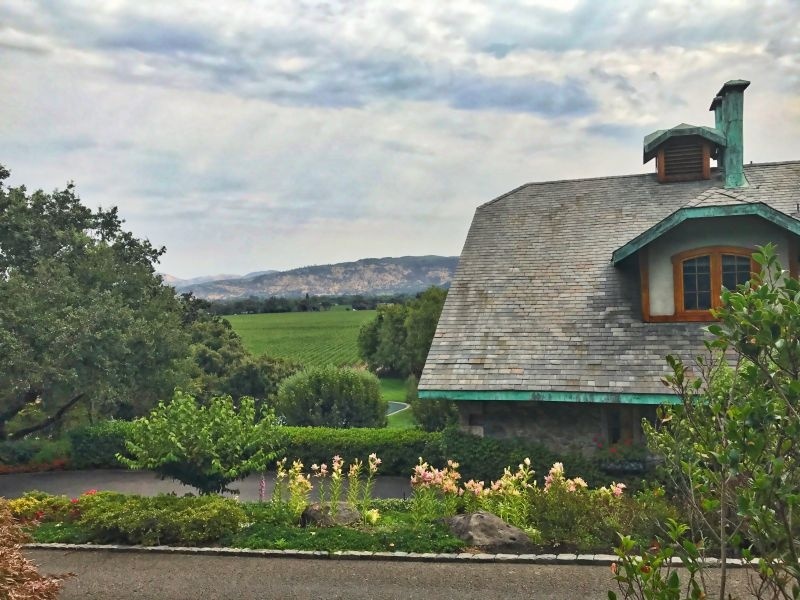 After seeing all the beautiful hills and mountains surrounding Napa I felt like I was back home in Cape Town, then driving up and entering Far Niente I was transported to rural Europe. It literally was like taking a mini-vacation within a vacation it was that wow, added to that it felt like I was visiting more than one country in an afternoon! I was so sad the day I was there. First of all my camera was broken and in the shop for repairs. For a photographer seeing that kind of amazing beauty, and having only a cell phone is crushing. (Thankfully for me I had our contributing blogger/photographer SanityFound with me that day which saved my bacon.) Secondly, it was a really cloudy grey day so the beauty of the place really can’t be seen in the photographs. It is SPECTACULAR. 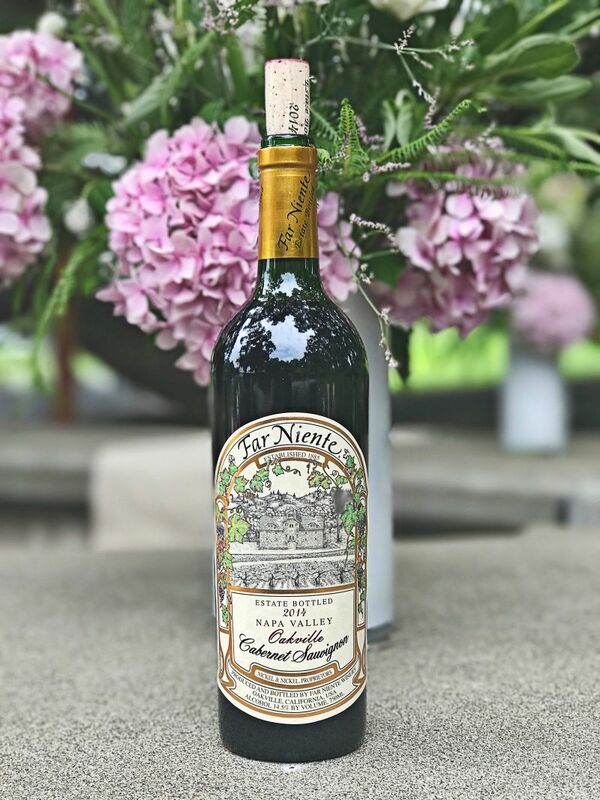 Far Niente was founded in 1885 by John Benson who was a Gold Rush Miner. He had the building constructed by the same architect that built Greystone – the CIA building. You can see in it the European flavor, strong lines, materials and elegance that both buildings share. It is positioned on a hill overlooking the valley below which not only provides beauty but also utilizes gravity to help the grapes move through each stage of production. 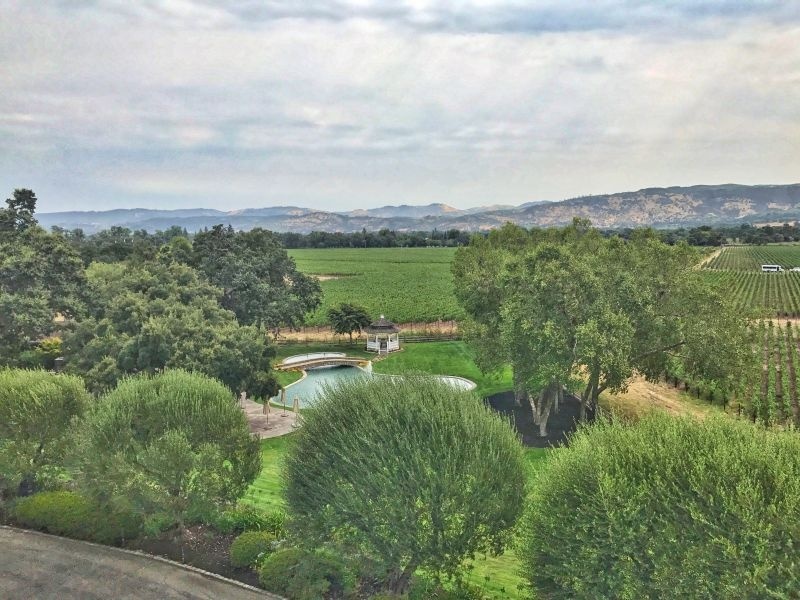 The views over the valley, the vineyards, and the amazing gardens are simply breathtaking. Inside, stone floors, solid wood beams, gleaming wood details have all been kept, but yet nothing is fussy. It feels simple and that timeless elegance that never goes out of style. 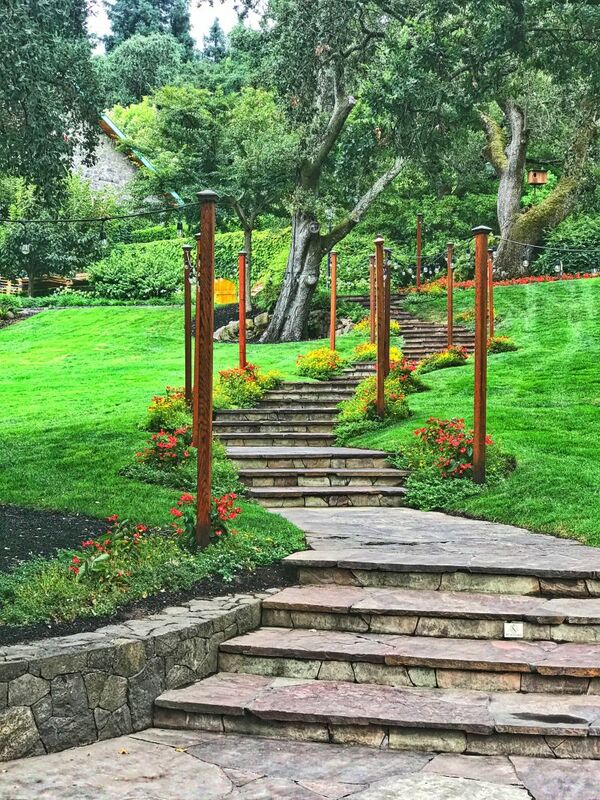 I think I would say that is a good reflection of everything they do at Far Niente. Touring the barrel room and caves was interesting and they held a special charm and beauty all of their own. There are parts of it that feel like old Europe. Honestly, I could imagine myself being in France or Italy in one of their tasting room areas where you get wine right from the barrel. It’s filled with the character you don’t get to see at many of the Napa wineries. We then entered one of the rooms where they hold parties and events. It was all set up for their next party and I have to admit I wanted to be one of the guests attending. It looked lovely. Again, all of the detail in the architecture of the room reminded me of Europe. It was very impressive. Moving to the outside space is like out of a fantasy of a winery that I couldn’t even imagine. Parts of it seem like they are almost forested/secret garden/vineyard/magical wedding venue. Everywhere you look there is something completely different to see. It’s very hard to describe except to say exquisite. I found myself wanting to marry The Brit all over again just so I could do it there in that place. 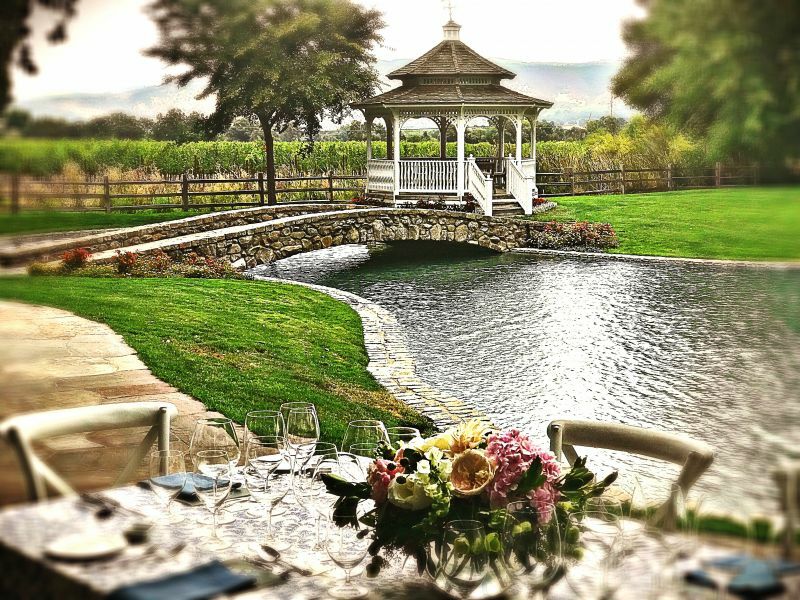 Sadly, with Napa laws you can’t get married there…but WOW. 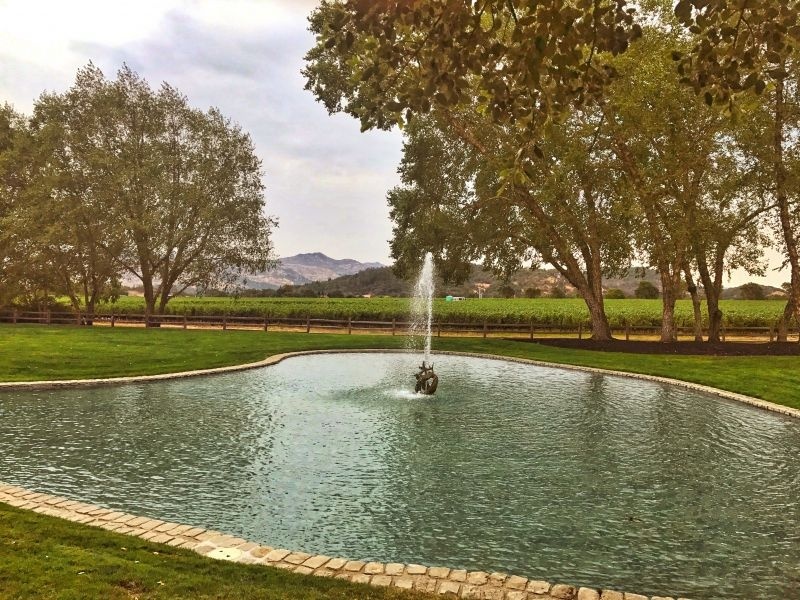 SanityFound comments: Although California Girl claims not to be poetic, she is pretty poetic in her description of both the grounds and wines. All I can add is that in every area we were shown I didn’t want to leave, I wanted to find a quiet spot and just soak it in. I would have to if I wasn’t for the fact that I am such a clueless navigator – getting lost in the caves was not something I fancied and more than highly probable (Really… I get lost with a GPS telling me where to go I kid you not!). 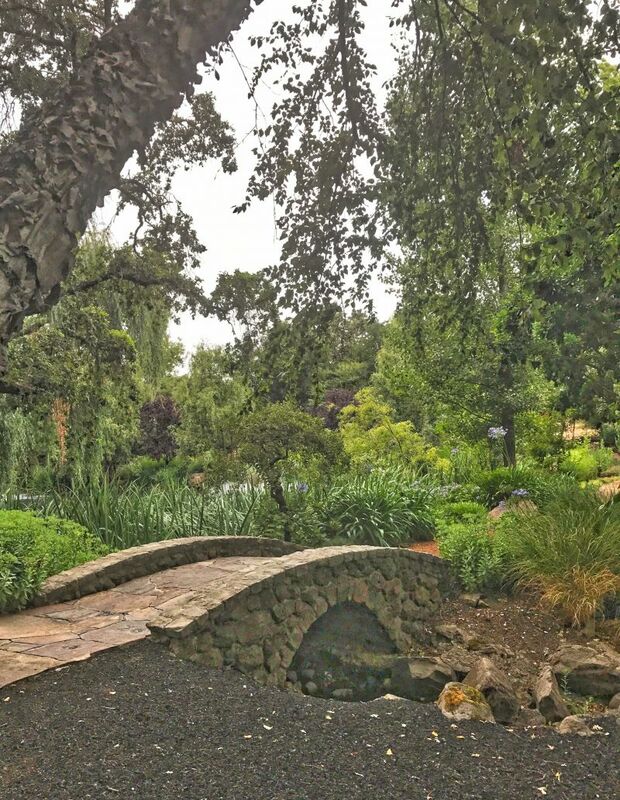 Every corner of this winery holds moments that will stay with you, their grounds a wonderland to be explored and enjoyed, the quiet and the seclusion adding to the wonder that is all that is Far Niente. They do two different classic tasting and tour options. The first one lasts 90 minutes ($75.00) and includes both the tour and a tasting of their current release wines with a final taste from their sister winery Dolce. They do this in groups of eight, so if you don’t have eight people in your party, other people may join in on your tour. Space is limited and you need to book this one well in advance. 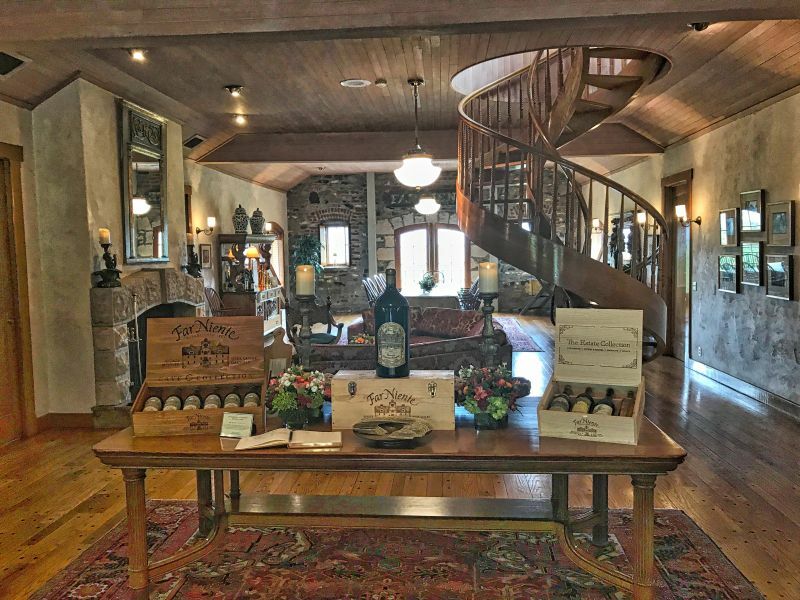 The second option is a private tasting which lasts 60 minutes ($75.00) These tastings can be either indoor or outdoor and include the current lineup of wines and again finish with Dolce. I would HIGHLY recommend the outdoor tasting if the weather permits. Did I mention, the outdoor space is beautiful, magical, and a big WOW? 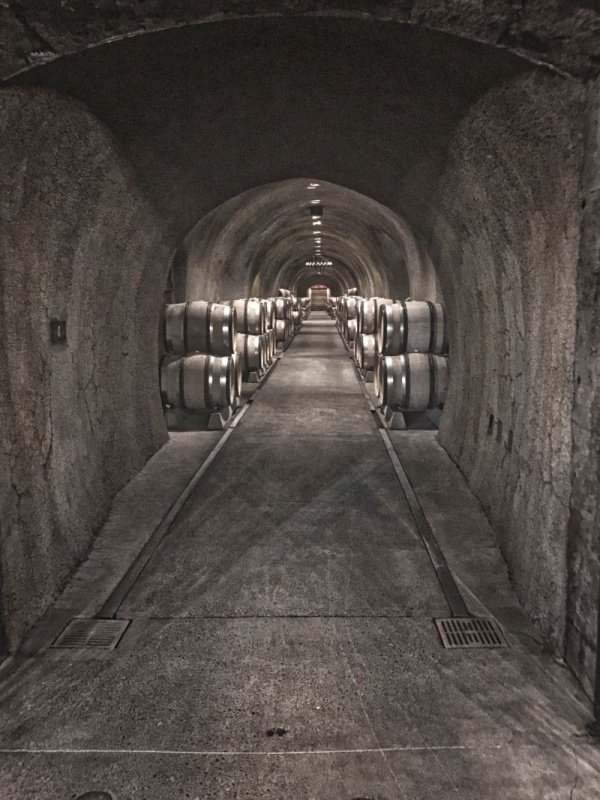 Far Niente has just announced a new tour to their lineup – Their 60 minute seated Cave Collection Tour. 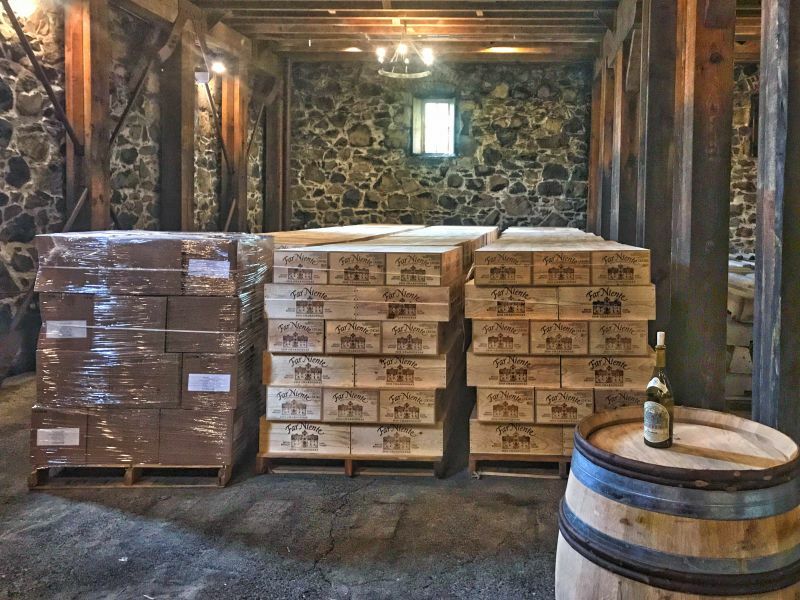 During this tour, the guest will get to taste the current release Chardonnay and Cabernet Sauvignon alongside specially selected Cave Collection vintages. That would be well worth doing, to experience their library wines. We didn’t do a seated tasting on this day but we did get to taste two of their wines. 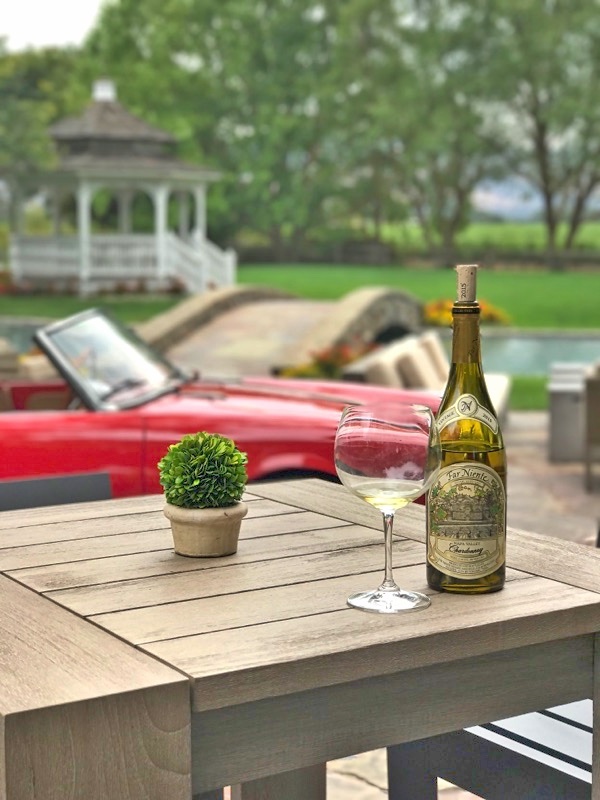 The first wine we tasted was the 2016 Estate Bottled Chardonnay ($67.00) This wine has a nutty, oily texture on the palate, completely satisfying in the mouth with notes of citrus and melon. It’s not shy or shallow in flavor, it’s there, rich and bold with a lingering finish. I really loved this sip and would have bought bottles if I could have done so at this tasting. The second wine we tasted was the 2014 Far Niente Estate Bottled Cabernet Sauvignon ($160.00) What impressed me about this wine was the layers of flavor immediately that hit my palate. Blackberry, cassis, baking spices, wood, smoke all harmonizing in my mouth for a beautiful cacophony of flavors. A wonderful long finish left me wanting another sip. It is absolutely delicious. So elegant, it would really enhance any meal. I think for me, however, I would like something like a baby lamb chop with it. Perfection! Drinking the wines while strolling around the property was truly one of my favorite Napa moments ever. If you want to visit their winery it is by very limited appointment only. They have a variety of new tasting options coming up for those who visit so check out their website. 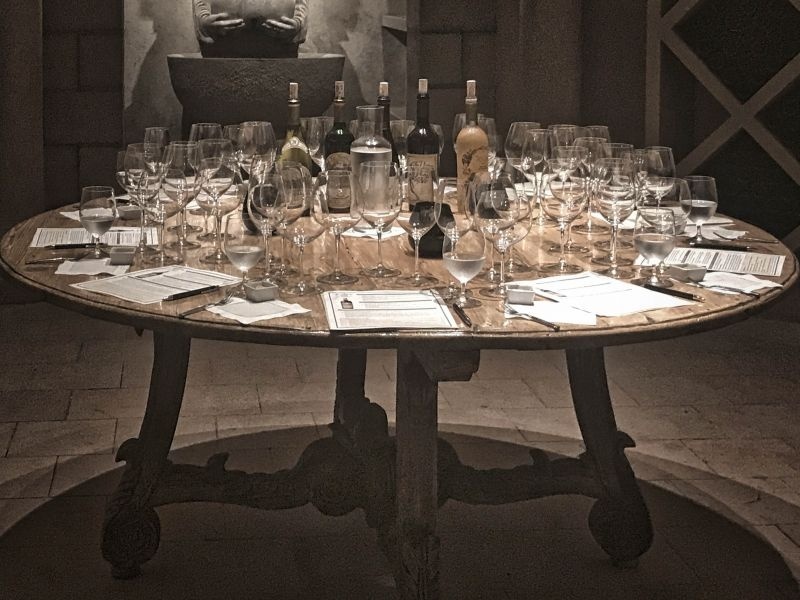 If you want more information about Far Niente wines or their sister properties, check out our post about their winemaker’s dinner we attended at the Meritage Resort. I can’t wait to go back camera in hand and take better photographs of the property – ok, you caught me drink more of the wine too. Hey, a girl has to have some fun! This is a MUST do place on your bucket list for Napa visits. Especially if you don’t want the same old places on Hwy 29 where everyone else goes. SanityFound comments: As a side note, if California Girl decides to return without me, I will be not so poetic in what I have to say about it. beautiful grounds. Agree- always breathtaking no matter how many times you see it.